« Magical Christmas Tour – 12/11/11 – So let the Christmas Begin… Now! 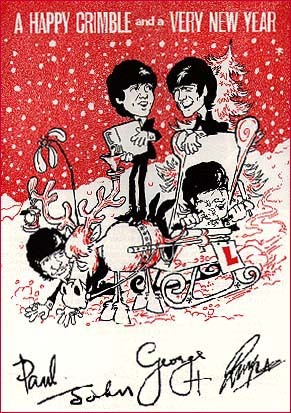 Here’s Your Invitation so make your reservation to join me,”Everybody’s Favorite Christmas Tour Guide”, james d. jones as I take you on a Magical Christmas Tour through the Beatle Christmas Years and Beyond… Won’t you join me? Today we celebrate Christmas and with only 1 week away from today you have to ask yourself… Am I on the Naughty or Nice List? Come join in the celebration as Christmas Time fills the air… Happy Christmas!! !